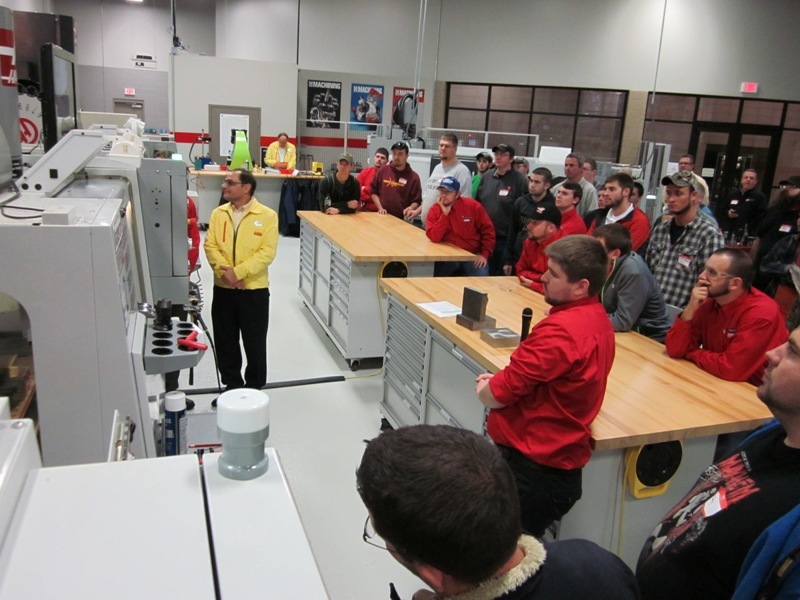 On November 5, 2014 Chuck Tate, John Pusatera and Shane Sievers of Sandvik came to the Vincennes University HTEC to present an excellent seminar entitled 'The Modern Art of Milling'. In attendance at the event where 15 students and staff from the VU HTEC CNC Machinist NOW program, about 20 VU Precision Machining Technology students, and about a dozen machining professionals from industry. Did you know that it takes roughly 4 inserts to manufacture a car, and 3000 inserts to manufacture a jet airplane? Do you know the 'Golden Rule' of Chip making? The answer is 'Thick to Thin'. These things along with much, much more were presented at the seminar, along with a milling demonstration on the Haas VF-2SSYT using 13 different Sandvik cutting tools.